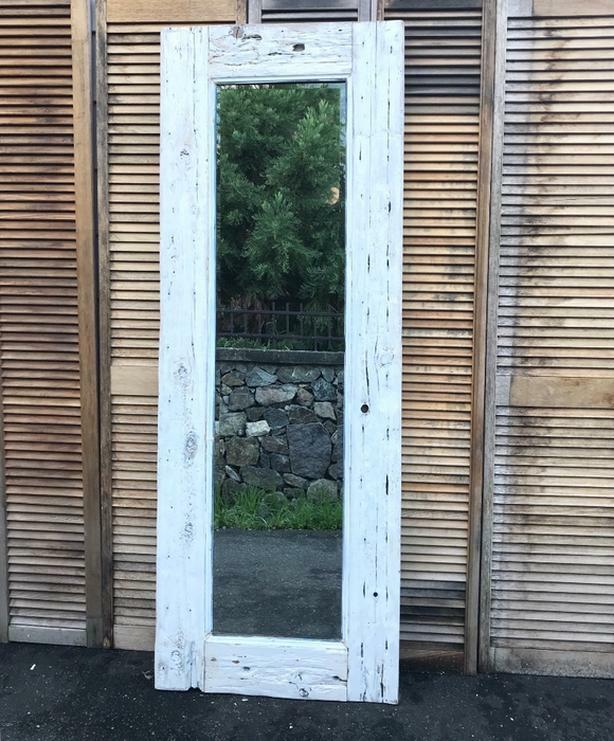 Wonderful shabby chic farmhouse mirror. This is made from reclaimed wood, and can be hung vertically, horizontally, or leaned against the wall. This is perfect as a bedroom full length mirror, it would also be great in a dining room, or bathroom. A great piece in rustic, farmhouse, or shabby chic decor.